In Nguyen dynasty time, Van Phuc silk was brought to Hue imperial citadel to make dress for royal members. Between 1931 and 1932, Van Phuc silk was on display in international exhibitions for the first time in Marseille, then Paris and was highly appreciated and preferred by the French. From 1958 to 1988, Van Phuc silk mostly was exported to Eastern European market, and since 1990, it has been known widely in many countries all over the world. Many families in Van Phuc open their own shops on the main road of the village; create a “town of silk” that sell eye-catching and high quality silk products. Tourists may buy available nice souvenir and clothes in the shop, or select the most suitable materials to then get customized products. The sellers are very friendly and can speak a little English and French to communicate to foreign tourists. No tourists here are uncontented with the glisten of various silk products. 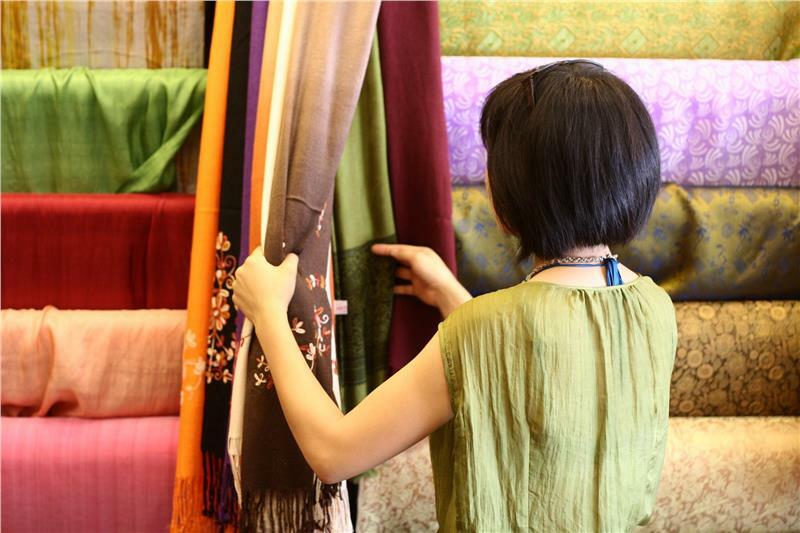 They are always confronted with an initially bewildering array of silk products, from raw materials, to garments, and a myriad of silk accessories. The local silk is known for its smooth and lightweight appearance, and qualities that enable it to be dyed more colors to suit a variety of skin tones. 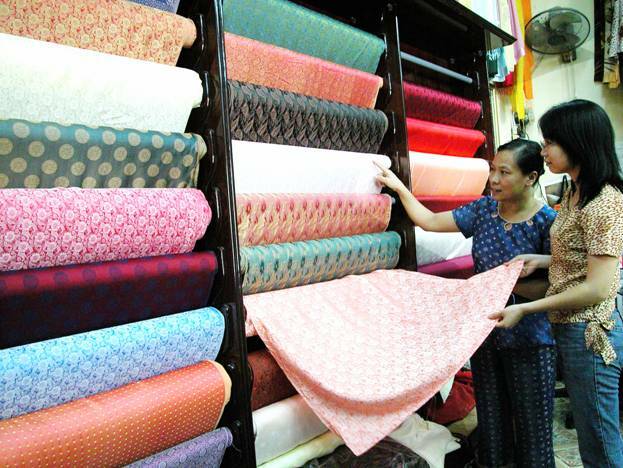 In order to cater for the changing demands and tastes of customers, Van Phuc silk producers are expanding their silk and garment repertoire: traditional glossy, embroidered silks, double layers, wrinkled silks, and of course, more colours, hues and weights, for which they have invented new techniques in dying and thermo-processing the threads.